Coconut water, especially young people often used as a statement of the thirst for drinks. It was very refreshing, especially when taken on an empty stomach. Only, not a few ordinary people are drinking coconut water with the other goals. 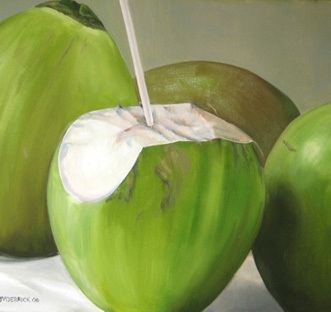 Someone mentions that coconut water can reduce weight, improve kidney function, to treat allergies. Really?